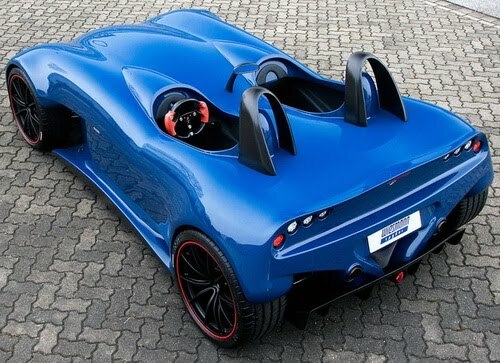 Wiesmann Spyder Concept is a car concept from small size car manufacturer Wiesmann. Although it’s just a concept design study from Wiesmann this time, but we’re thinking that the concept will enter the production line and become a reality someday. Have you ever think of investing and developing a new concept just for fun? We don’t think so…Powered by a 4.0-liter V8 engine, Wiesmann Spyder Concept may develops 420 hp and is able to accelerate from 0 to 100 km/h in under 4 seconds. With a weight less than 1000 kg, Wiesmann Spyder Concept may reach its top speed at around 290 km/h. The most interesting thing is… This two-seater car was designed without any doors or windscreen. Is it very extreme? Wiesmann showcased the design study of a two-seater, extremely purist, convertible sports car at the Geneva Motor Show in 2011. Powerful, ultra-light and purist, the Wiesmann Spyder Concept is the essence of Wiesmann’s philosophy. With a kerb weight of less than 1000 kg, it accelerates from 0-100 km/h less than 4 s and makes a top speed of approx. 290 km/h. 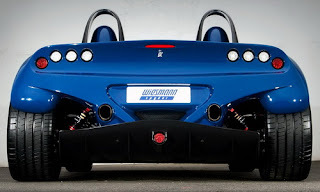 Basis for this excellent performance is a 420-hp V8 high speed motor which is powered by a 4 liters of engine capacity. 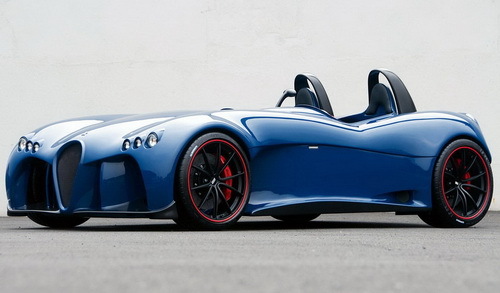 The two-seater has no doors or windscreen and is the most extreme Wiesmann ever built. 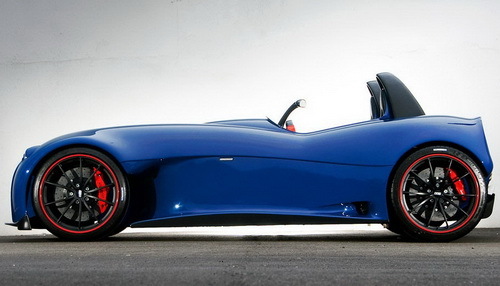 The Wiesmann Spyder Concept design study is based on the Wiesmann brothers’ early designs, though it also incorporates their many years of experience in sports car construction. It demonstrates the sports car manufacturer’s receptiveness to trends because many Wiesmann fans have approached the company founders in recent years with requests for an extremely purist model.In Geneva there will be a design study presented, which needs to undergo the judgement of the experts. General Manager of the manufactory Friedhelm Wiesmann says: “We want to test the marketability of such cars in Geneve”, and he goes on: “The feedback of customers, partners and experts has high influence on the consideration of advancing the Spyder model.” Wiesmann has not yet decided whether to put the Wiesmann Spyder Concept into production. 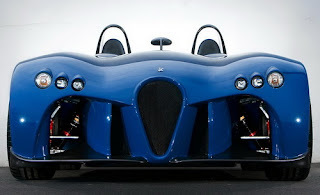 If it does go into production, this won’t be before 2012.